Trending topics: Africa’s single air market; Kenya’s two Presidents; Nigerian Churches vs Voter apathy. The son of one of Nigeria’s billionaire businessmen recently released an interesting and intriguing story about how he attempted to buy one of the world’s largest corporations, Chevron at only 29 years. The story shows a determined, resilient, focused and persistent young man and at the same time the importance of family wealth and ‘social capital’. As you can imagine, the story has since gone viral with many people labelling it as ‘motivating’, ‘inspiring’ etc. Maybe I am just a cynic or even a ‘hater’ but it appears that many people have deliberately refused to acknowledge the very important role his family background/wealth and social capital was in the story. It’s hard to argue that his access to some of the world’s most powerful businessmen is not related to the Background into which he was born or that his ability to pay some of his ‘advisors’ who according to him are experts is not linked to his family wealth. How many 29 years olds have this level of access and exposure? This issue goes beyond Paddy Adenuga, it perhaps boils down to our natural instinct to over glamourise successful people without highlighting the role that luck, family background, wealth etc. play in their story and this is precisely the point Malcom Gladwell attempts to do in the book ‘Outliers’. He talks about Bill Gates, no one doubts his brilliance or acumen but many fail to realise that the fact that Bill Gates attended one of the few private schools that had Computer in his time matters a GREAT DEAL as it provided him with the opportunity to programme for a ridiculous amount of hours. In fact, while Bill Gates founded Microsoft, his wealthy parents funded his company and helped him land his first client in IBM. I guess what I am trying to say is that let us make a conscious effort to tell a complete story of success, let’s acknowledge the limitations (or lack of) that these privileges afford people; it does not make their stories any less inspiring or motivational……it only makes it less misleading, complete and truthful. What more do I need to say about this, clearly Raila is not taking his defeat well. you can read more here. I enjoyed reading this Piece by Celestin Monga, the Chief Economist of the African Development Bank who argues for the need for greater financial intermediation between Africa and the developed world. He says that the focus of such interventions should be the labour-intensive industries on the continent given Africa’s rapidly growing population. Read article here. This article discusses focus on World Bank’s President Jim Yong Kim’s effort to change the Bank’s traditional approach to lending. Rather than relying on donor governments, the Bank now calls on Investors and other private sector players to invest alongside the Bank in developing countries, offering them incentives such as guarantees etc. I personally think this is a move in the right direction, given the pace of global growth, the reduction in foreign aid in many advanced countries – pooling funds from the private sector surely seems like a more sustainable approach to development. Read article here . For the non-Nigerians on the blog, Nigeria’s elections hold next year and to cast a vote, the Independent National Electoral Commission (INEC) requires Voters to have a Permanent Voters Card (PVC). Typically, there is always huge voter apathy in the Southern part of Nigeria but there has been a huge campaign by various groups for people to get their PVC. 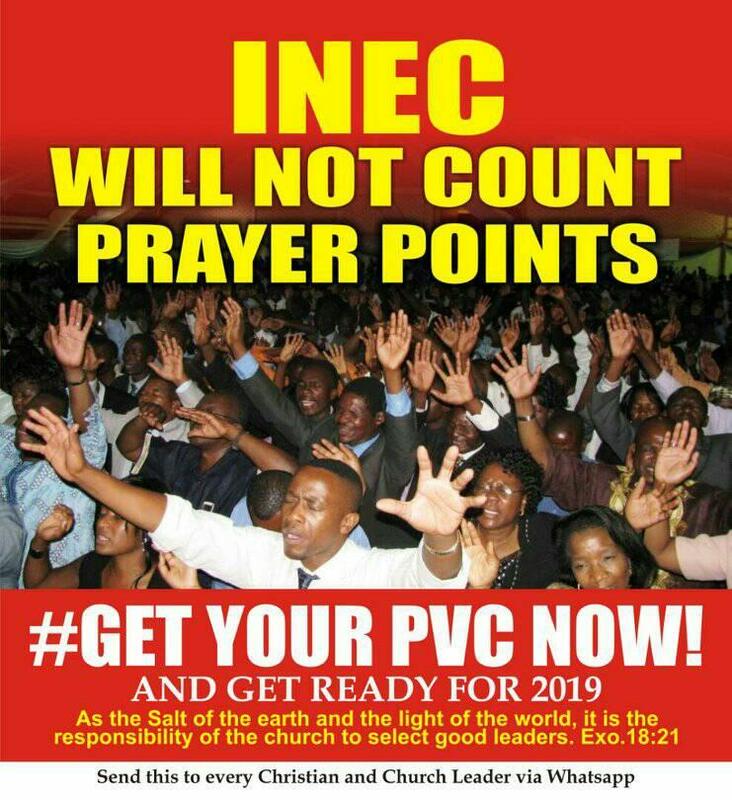 What I find very surprising and exciting, it is the fact that the Church appears to be championing this PVC drive, if you know how religious Nigerians are, you will know that this is HUGE!! I am happy because if we want our democracy to work, everyone needs to be involved. So I just finished my January read ‘Start – up Nation” by Saul Singer and Dan Senor. Watch out for the review soon. Hope this made a great read for the weekend, have a restful one! Previous Nigeria’s 2019 elections – Five ways to be an informed voter!! Next Why are Banks not lending to Agriculture? Having read this, I must say, IMPRESSIVE! It’s high time we started recognizing the role our family background plays on our future. You just can’t compare the success story of children born with silver spoon and and those who worked their way up with nothing to their family’s name. I’m not jealous just being Real. I’m new to blogging and I’m happy to have come across you, kindly check me out, I will be glad to accept your opinions on how to grow.